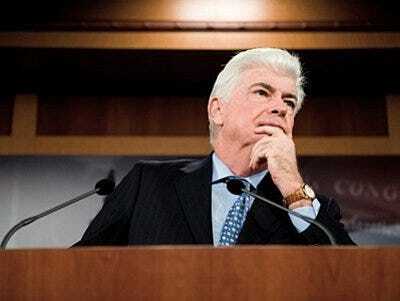 The worst part of the new legislation Senator Chris Dodd will reveal later this afternoon is likely to be the expansion of the power of the Federal Reserve. We are still awaiting details on Dodd’s plans. But it has been widely reported, based on leaks to the media over the weekend, that the Federal Reserve will be given broad powers to regulate the largest financial institutions–including insurance companies, investment banks, commercial banks, and possibly large hedge funds. In addition, it would be able to force the companies it regulates to reduce their risk. Why do we think this are such bad ideas? At the most basic level, it’s hard to see how the expansion of the scope of the Federal Reserve’s authority to cover any large financial institution makes sense. The Federal Reserve was not able to prevent disaster at the firms it was already charged with overseeing. What reason is there to think it will do a better job at regulating a wider universe of firms? More concretely, the Federal Reserve had regulators in place inside of Lehman Brothers following the collapse of Bear Stearns. These in-house regulators did not realise that Lehman’s management was rebuking market demands for reduced risk and covering up its rebuke with accounting sleight-of-hand. When Lehman actually came looking for a bailout, officials were reportedly surprised at how bad things were at the firm. A similar situation unfolded at Merrill Lynch. The regulators proved inadequate to the task. There’s good reason to believe that the regulators could not have done a better job. No individual or committee can reliably assess risk at a financial firm. Instead, the appropriateness of risk is revealed through market processes. As a firm departs into the territory of excess risk, the value of its stock shrinks while its debt costs grow. There simply doesn’t exist a mechanism outside of market processes for detecting this. All attempts to create such mechanisms failed dramatically in our recent crisis. The Federal Reserve’s officials did not believe the financial system would face a crisis. First, they didn’t believe that a downturn in housing prices was likely. Second, they didn’t think the subprime mortgage crisis would spread. Third, they failed to understand that the spreading mortgage crisis would cripple some of our most prominent financial institutions. At each step of the crisis, the regulators were playing catch up. Actually, regulators did worse than fail to anticipate the crisis or detect financial shenanigans on Wall Street. Their view of the markets actually made the crisis far worse than it would have been otherwise. Indeed, without the regulators taking the views of risks, markets, and asset values that they did, we might not have had a crisis at all. Prior to the crisis, our banking regulators adopted rules based on a view of risk that made it much more profitable for firms to acquire securitized mortgages than make other types of loans. Pretty much every regulator went for this view of risk—the Federal Reserve, the Federal Deposit Insurance Corporation, the Comptroller of the Currency, and the Office of Thrift Supervision. This earlier attempt to influence banks to “reduce risk” ended very badly. Jeff Friedman of Critical Review and Wladmir Kraus have investigated how these new rules warped the financial system, making it dangerously exposed to the mortgage market. The new rules, which were adopted in 2001, provided “80 per cent capital relief on banks that bought GSE-issued or highly rated mortgage-backed bonds rather than commercial loans or corporate bonds, and 60 per cent relief for banks that traded their individual mortgages for those ‘safe’ mortgage-backed bonds,” Friedman and Kraus write. “Specifically, $2 in capital was required for every $100 in mortgage-backed bonds, compared to $5 for the same amount in mortgage loans and $10 for the same amount in commercial loans,” Friedman and Kraus explain. As a result, the banking system wound up with far more exposure to mortgage-backed securities than would have resulted from market processes. What’s more, nearly all the banks sought out the same types of assets, which obviously fuelled the bubble in their prices. To put it differently, the regulators’ mistaken views about the risks in the housing market were imposed on banks and investment banks through the bank capital rules. While it is true that banks could resist these views by accepting lost profitability that would come with the higher reserve requirements from disfavored assets, only the most extreme bears would be willing to do this. To come around to the position that mortgage backed-securities should be avoided, a banker would have to conclude that the losses to these assets would exceed the cost of capital penalties. Few bankers came to such a conclusion. Spreading the Fed’s authority risks making this problem of market homogenization even worse. Hedge funds and insurance companies escaped the financial crisis intact, largely because they weren’t subject to the same regulators whose views on prudence so damaged the banks. Subjecting a broader range of financial firms to the Fed’s market views will create more systemic risk, leaving more firms in vulnerable if the Fed gets it wrong again. The new powers being proposed for the Fed would allow it to order financial firms to “reduce risk.” Which is to say, the Fed’s view of risk will even more directly control the financial system. The Fed will be able to impose its views of risk on a broader range of financial firms. But that is exactly what regulators thought they were doing when they incentivized banks to buy up mortgage backed securities through sliding-scale capital requirements. In short, the regulators’ views of prudent banking got us into this mess. Allowing the Fed to fail upward is just a recipe for another—likely worse—crisis.